When most people think of real estate investment, they think of billionaires like Warren Buffett and Donald Trump. You don't have to be rich to break into the world of real estate, though. If you're interested in real estate investment but aren't sure where to begin, keep reading. Some of the ins and outs of buying rental property and managing it effectively are explained below. Keep this information in mind so you can start earning additional income and avoid common real estate investment mistakes. There are lots of reasons to consider buying rental property when you're first getting started in the world of real estate investment. Buying a rental property can be one of the smartest investment decisions you make. But, you have to make sure you're purchasing the right property and managing it effectively. Some investors argue that it's a good idea to carry debt. For the average beginner investor, though, it's best to pay down your debts before investing in something as big as a rental property. If you have student loans, lots of credit card bills, or other debt, it's best to pay that down as much as you can before you purchase your property. Unless you know for certain that the return from your investment will be greater than the cost of your debt, be cautious, especially when you're first getting started. Investment properties often require a larger downpayment than an owner-occupied property. You might be able to buy a house to live in by putting down just three percent. For an investment property, though, you're looking at a downpayment of closer to 20 percent of the value of the house. This has to do with the risk involved in rental properties, as well as the fact that they're not covered by mortgage insurance. Location is essential when you're purchasing a rental property. If you buy a property in an area where no one wants to live, you're going to have to lower your rent to attract people. This, in turn, will eat into your bottom line. For your first rental property, it's a good idea to start with something small like a duplex or single unit. Don't bite off more than you can chew by trying to purchase a whole apartment complex. There will be a time when this is a good option, but it's not ideal for beginners. This is essential. You need to have a good handle on how much money will be coming in from your rental property and how much it will cost to maintain it. A good rule of thumb is to abide by the 50 percent rule. Whatever you receive from your tenants each month, half of that will be paid back into maintaining the property. It's good to fix up your property and ensure it's habitable. Avoid making too many improvements, especially improvements that don't increase the property's value. Set your minimum standards and stick to them, no matter what other investors might be doing for their properties. When you're a brand new investor, it can be helpful to work with an investing partner or real estate investment company. They can help you with the ins and outs of finding a property and deciding what kind of renovations you need to make. Make sure you and your investing partner have the same values and goals for the property. If you're working with an investment company, be sure to vet them and make sure they're legitimate. Do they have a credible online presence like this website? Do they have any complaints against them or lots of negative online reviews? Be picky when choosing tenants for your rental property. 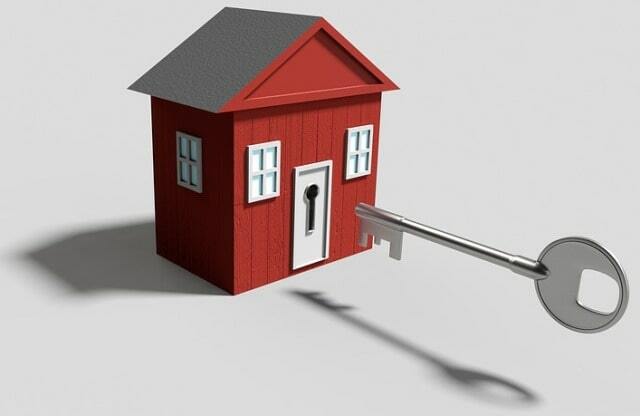 Screen them to make sure they have good credit and have never been evicted from past properties. They should be able to provide you with references and proof of employment, too. Even if your tenant screening doesn't yield any suspicious results, it's still essential to have a written lease for your tenants to sign. Make sure this lease is highly specific and makes clear your expectations for your tenants (as well as what they can expect from you). If the idea of screening tenants and writing up a lease makes you sweat, consider hiring a property management company. You will have to forfeit some of the income from your property if you go this route, but the services a property management company provides can be invaluable. They take care of all the heavy lifting for you -- maintenance, advertising, tenant screening, etc. Many property owners find that these services are well worth the extra cost. Look for More Ways to Earn Extra Income? Real estate is a great investment for those who want to earn additional income. There are more options for increasing your net worth than just buying rental property, though. Are you interested in learning about other ways to earn extra money? Do you want to know how to manage your money so that it works for you? If so, be sure to check out the Frugal Finance section of our site today. There's a wide range of helpful articles here that cover everything from investment strategies to tips on saving money for your next business venture.